This entry was posted on February 22, 2018 by ND T4D. 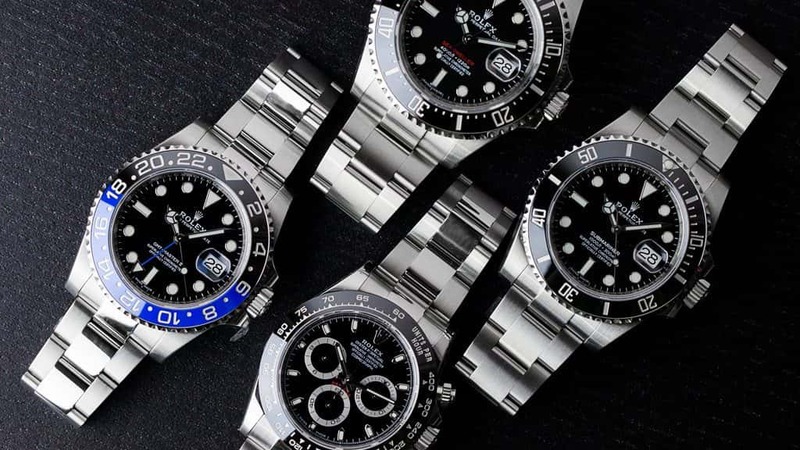 While there are plenty of precious metal Rolex watches out there such as gold, platinum, and of course gem-set options, stainless steel Rolex watches are some of the most popular models from the brand, cherished for their blend of prestige and robustness. If you’re looking for an everyday luxury watch, then look no further than these five top stainless steel Rolex watches to own right now. For newer watch enthusiasts looking to get into the Rolex club, the stainless steel Oyster Perpetual is a fantastic entry-level option. Sized at a very wearable 39mm and boasting the Rolex design hallmarks we’ve come to love—water resistant Oyster case, sporty Oyster bracelet, luminescent dial, and a reliable Rolex automatic movement—the time-only Oyster Perpetual provides everything you need and nothing you don’t. Although there are a variety of dynamic dial colors to choose from, we’re partial to the dark rhodium hue for its elegant look and ability to match almost anything. 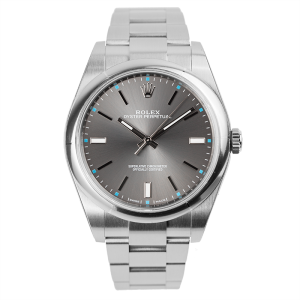 For a Rolex watch that is unapologetically different, there’s the stainless steel Milgauss. The Milgauss was conceptualized in the 1950s as an antimagnetic timepiece for scientists, engineers, and medical professionals that frequented high magnetic field environments. As its name implies, the Milgauss is resistant to 1,000 gauss of magnetism thanks in part to an iron shield protecting the automatic movement inside the 40mm case. As a clear nod to the scientific community it has been serving for generations, the modern Milgauss includes an unconventional orange lightning bolt shaped seconds hand, along with a unique green sapphire crystal that gives the watch a futuristic glow. being the most counterfeited luxury watch to date. It’s been said many times before that no Rolex collection is complete without the famous diver’s watch. The most modern iterations of the stainless steel Submariner boast the attractive high-tech Cerachrom ceramic bezel, prized for its resistance to scratching and fading. 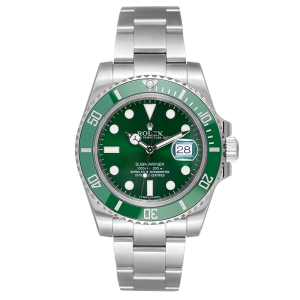 However, rather than the more standard black Submariner, we love the green steel Submariner, which offers plenty of wow factor. 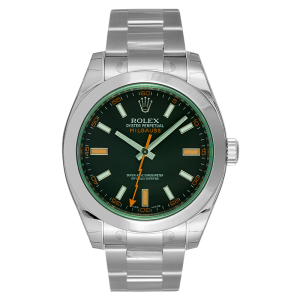 Nicknamed the “Hulk” due to its bright green dial and bright green bezel atop the 40mm case, the green Sub is hands down one of the best modern stainless steel Rolex watches to own right now. Though the GMT-Master was originally designed in the 1950s with commercial pilots in mind, the super practical Rolex watch has now found a faithful audience within the general population too. Particularly useful for globetrotters, the modern GMT-Master II watch allows wearers to keep track of three time zones via the extra 24-hour hand and the 24-hour marked rotating bezel on the 40mm case. Like many Rolex sports watches, the current GMT-Master II includes a Cerachrom ceramic bezel. This particular stainless steel GMT-Master II flaunts a black bezel with white numerals, perfectly matching the familiar black dial with round lume plots, Mercedes-style hands, and green details. When Rolex unveiled a new Daytona chronograph in 2016, the brand unleashed what would soon become the most coveted luxury chronograph today. With its stainless steel 40mm case featuring the duo of chrono pushers and winding crown, a black ceramic bezel with a tachymeter scale, and a trio of contrasting registers on the dial, the contemporary stainless steel and ceramic Daytona is a tough Rolex watch to find with years-long waitlists at Rolex boutiques. Whilst the white dial version of the stainless steel Daytona is also fantastic, we’re especially keen on the monochromatic style of the black dial combined with the black bezel. 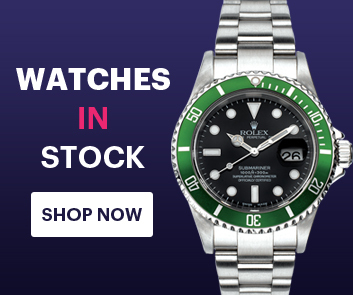 When you’re ready to add one of these top five stainless steel Rolex watches to your fine timepiece collection, browse our collection of Rolex watches for great deals.